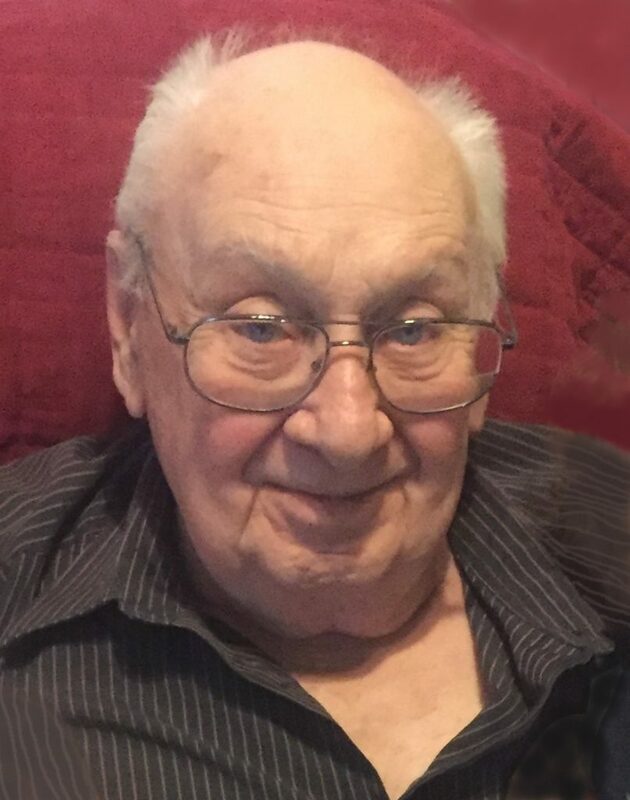 George Harold McInnis passed away at Belvedere Heights on Saturday, April 6th 2019. Beloved husband of Lois (Brown) McInnis for 66 years. Loving father of Dana; Terri and her husband James Campbell; and the late Paula Watkinson. Loving Grandpa of Samuel and Daniel Watkinson; Matthew Campbell, and Kayla and her husband Alex Triemstra. Adored ‘Big Papa’ of Jordan and Spencer Triemstra. Dear brother of the late Calvin and his wife June; Murray and his wife Barbara; Don and his wife Joan; and Neil and his wife Carrie. Fondly remembered by his nieces, nephews, other relatives, and friends. Friends and family will be received at the Logan Funeral Home, 81 James Street, Parry Sound (705-746-5855) on Tuesday, April 9th from 1:00 – 2:00 P.M. A Celebration of George’s Life will take place in the Logan Memorial Chapel on Tuesday, April 9th at 2:00 P.M. Reception to follow. Interment Hillcrest Cemetery in the spring. As expressions of sympathy, donations to the CNIB, Community Living Parry Sound, or the charity of your choice would be appreciated. Send a condolence to the family of GEORGE McINNIS.